Future Of The World ~ Welcome to Maharashtra !!! Quote of the Blog: "There are 10 types of people in the world: Those who understand binary and those who don't." I am here to add-up my 3rd blog. So what could be better than writing something about the future of the world. I thought too much, finally I encountered in the third dimension. Yes, DDD not Delhi Door-Darshan, 3D :-). I think it will revolutionized the world more and more as time will move. I think everyone wants to see the things realistic. 3D will show the world face in all dimensions. Although technology in the content applications and multimedia applications are in the finger tips now a days. I think 3D theaters, 3D TV, 3D movies, will be all around in bulk in near future. 3D graphics supported displays, PCs, Laptops, mobiles, TVs and other applications will enhance. So the 3D will change the face of animation and movies in near future. The 3D technology will be useful in medical industry for biological view of every part of body, entertainment industry for videos and computer based games, future generation buildings and archeological sites, security aspects in crime detection for intelligence industry, Automobile industry for future generation vehicle designs,scientific research, simulation of a real world object into a computer using 3D modelling tools and many more. It will help us to know more about the child growth in the womb, study of animal kingdom, Artificial Intelligence, 3D sattellite images beyond the earth of other galaxies and stars. 3D view of objects sitting at home will be great way to visit a place before you go there. Google Earth http://earth.google.com/ now shows the 3D panorama flows from view to view.You can explore rich geographical content, save your toured places and share with others.You can even rotate the object online using a doughnut-shaped scroll bar and explore the visual wonders. 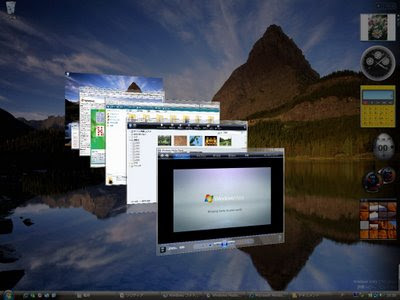 You can also access the magical world from your PC, just enable a tiny utility Vista Flip 3D Activator. I still remembered my engineering days when I used to draw 3D images in the 'Engineering Graphics Drawing' subject. We used to sketch different graphical projections, front view, top view, side view and view from some specific angle of some specific objects on the portable drafting board with the help of drafter, protractor, clamps, pencil and other equipments. Now a days, 3D movies are in demand and have been screened. These films are presented so that it requires two images, one for each eye, to achieve stereopsis. 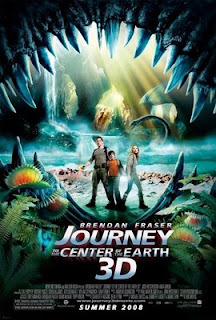 I just watched a 3D movie, Journey to the Center of the Earth 3D just a day back. The film captures the live adventure actions and some scary moments, the objects supplied by computer generated graphics. To view films in 3D, viewers still have to wear special glasses. The day is not far when emerging 3D films will rule our cinema industry. Hollywood is keen in investing more on developing 3D films as the audience is willing to pay more for viewing a 3D film. You can see an array of movies here: List of 3-D films and future releases. I think, IMAX theatre will lead the way. The day is not so far when you'd like to experience the new 3D TV from Philips and other comps as well as, without the use of special glasses. 3D TV without glasses will surely be a breakthrough and imazing innovation in this way. By seeing in 3D, we can say that 3D graphics will be integrated into our daily lives.